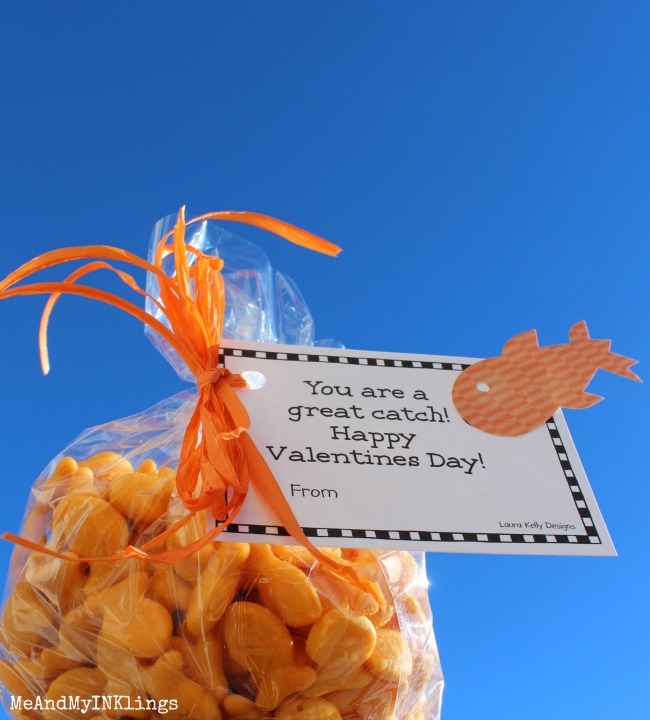 Giving Goldfish Crackers Valentines is a great idea, especially when you can make them this adorable. Kids get so many sweet treats and candies that I think it is awesome when something a little more healthy gets added to the mix! This little treat is so fun and cute too. 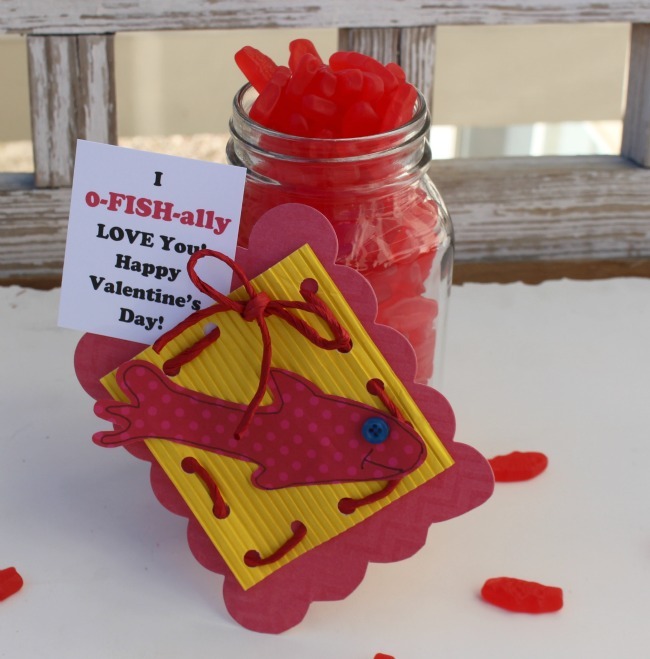 To make the gift tag, I used the FREE printable and a die-cut fish that I created with a die that I designed for Sizzix. It is part of the Pet Shop collection and I love using it in so many fun ways. You can grab the printable HERE. If you don’t have the die for the little fish, the printable can work as a stand alone too. 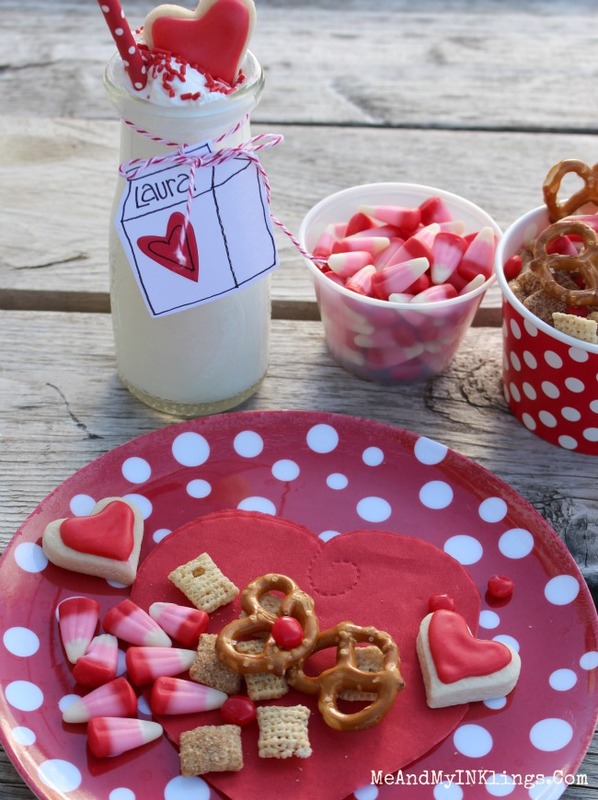 Lots of kids have school parties to celebrate friendship for Valentine’s Day. These parties are so much fun! 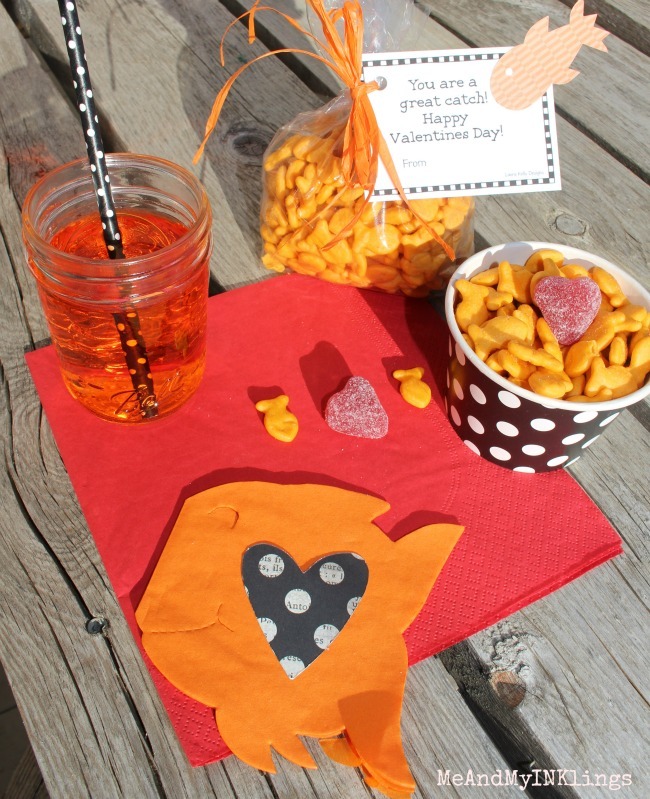 If you want to take the Goldfish Crackers for Your Valentine theme a little further, you can create fish shaped napkins too. To create them, you simply put the fold of the napkin a slight distance in from the edge of the die before you run it through the machine. This die is another one that I designed for Sizzix, Fish #4 to be exact. 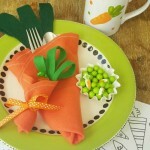 I think this place setting is awesome sauce fun for a kid. Of course, the little heart candy makes it even better. I do LOVE cinnamon candy! 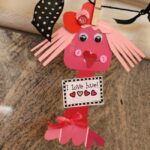 Here is another really fun way to use my die-cuts from Sizzix to create a Valentines Day celebration…with milk and hearts. Hop over to my blog and check it out HERE! 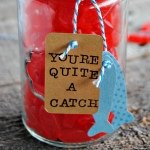 And if you love Swedish Fish, how adorable is this? This die is from my Nutrition set but works so great because it looks like candy. 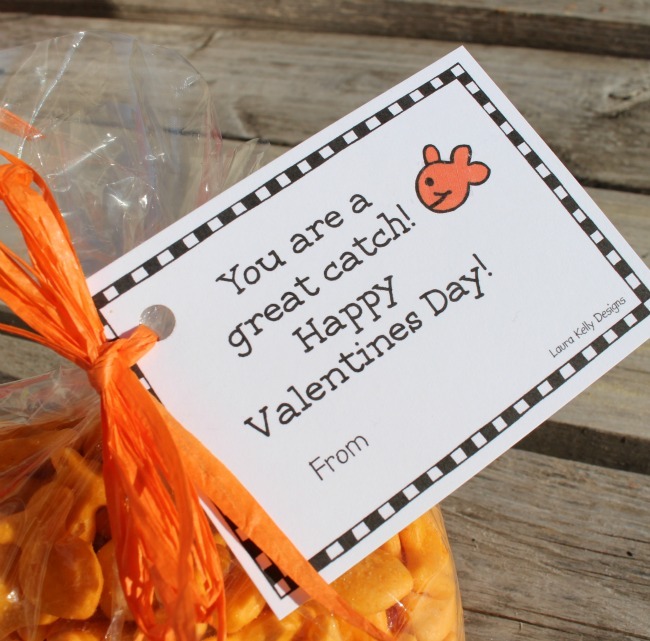 I love the Goldfish Crackers Valentines but love the others too. 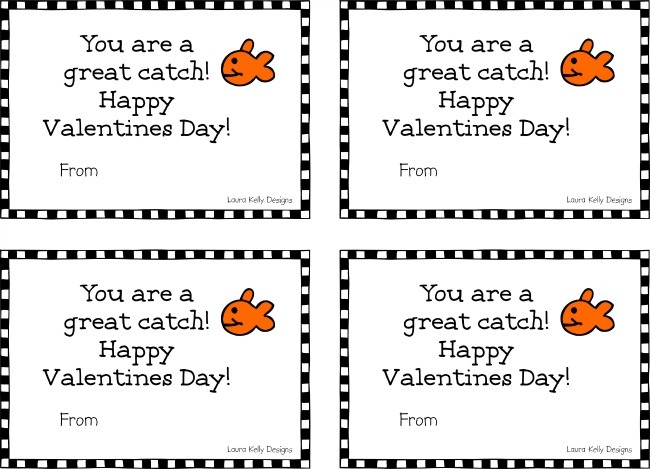 It’s a good think I have a bunch of kids to make Valentines with and others to give them too! Do you want in on this crafty fun? Then it’s your lucky day! 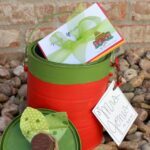 We’re hosting a giveaway for a Sizzix Big Shot Machine and a collection of Laura Kelly dies, valued at over $200! Enter via the Rafflecopter form below. Good luck! Thank you for sharing such fun ideas! 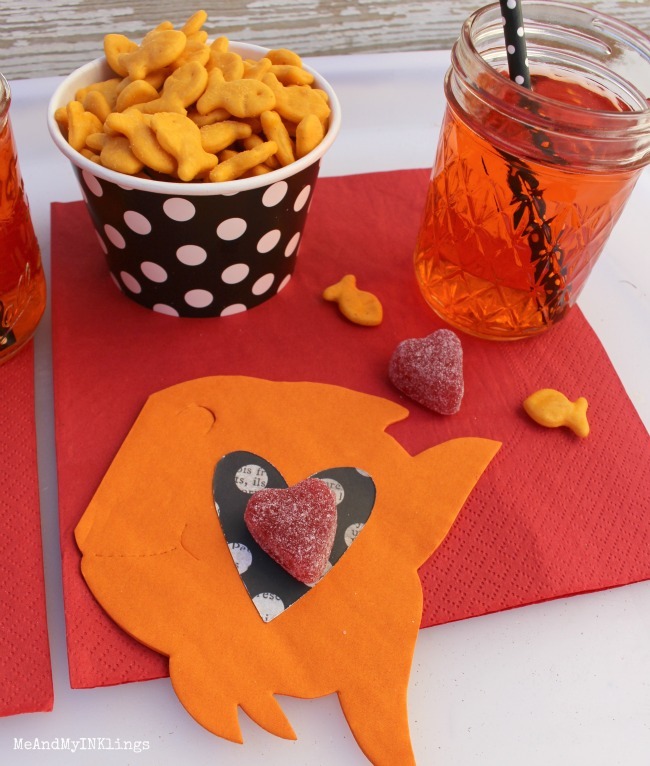 I can’t wait to make the goldfish for my grandsons!